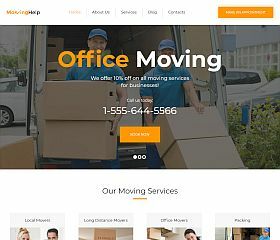 Moving Help is a clean, simple, and minimalist theme designed to maximize the value of the visitors to your site. With a very clean and professional design, it features a mobile-friendly and responsive layout, built-in appointment-booking functionality, drag-and-drop page builder, and strategically-placed calls to action. It’s a great theme for any type of moving or delivery company or service. 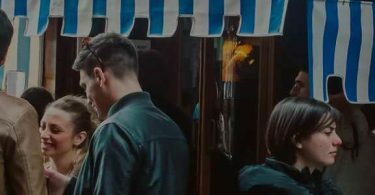 Fast Moving has been optimized for speed and SEO, while the carefully-placed contact information for your company allows you to generate the most business and revenue from your site. Another unique feature of the theme is the built-in booking functionality, allowing your visitors to easily schedule and book their times or appointments. 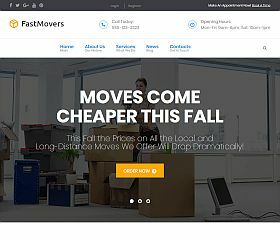 Express Movers is a WordPress theme built for those in the moving industry, perfects for businesses, services, or any type of moving site. From the flat-style, responsive design to the custom features that have been built-in – it offers a very flexible and versatile solution that you and your visitors are sure to love. Features include: premium Revolution slider plugin, Bootstrap-built, optimized and clean code, a filterable/sortable portfolio, and more. 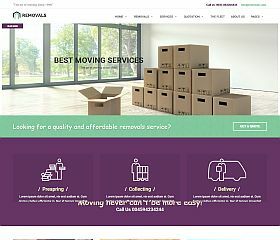 REMOVALS is a WordPress theme that was built for movers, relocation businesses, and removal service companies. Designed to look excellent across all screen sizes, this theme includes: 2 unique homepage layouts, built-in quote form that allows visitors to submit a quote, Retina-ready (with 2000+ icons included), premium Layer Slider plugin included, support for Contact Form 7 plugin, full-width images and sliders, and a powerful theme options dashboard. 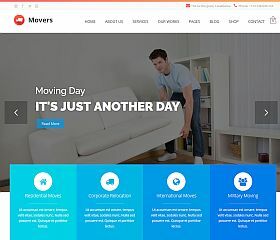 Movers is one of the few WordPress themes that has been specifically built for moving companies and services. The comes set up with: Visual Composer WordPress plugin, premium Revolution Slider plugin, support and integration WooCommerce, a fully responsive layout, built with HTML5 and CSS3, optimized for SEO, integration with Google Maps, and an flexible theme options panel that allows you to give your site further customization options. 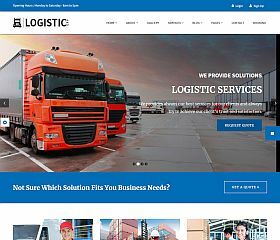 MoveIt is a theme for WordPress that was designed for those in the moving, logistics, and courier industry. The clean a simple design allows you to easily showcase your services and products, while the theme’s built-in features include: a responsive layout, robust theme options, two unique color schemes included, Google Fonts integration, built-in shortcodes, smooth scrolling, integration with contact forms, and much more. 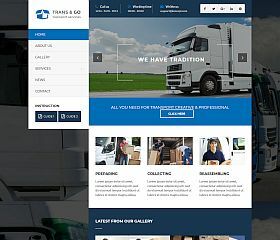 Transgo is for those in the transport and logistics business, this theme was built specifically for your industry. This theme is built with Bootstrap and has the ability to highlight your services, easily allow customers to contact you, showcase photos and multimedia, Retina-ready, Google Maps integration, and a theme options panel that allows you to customize various aspects of your site. Cargo comes with three different styles to choose from (home movers, cargo, and delivery services), the theme conveys style and sophistication without distracting your visitors. 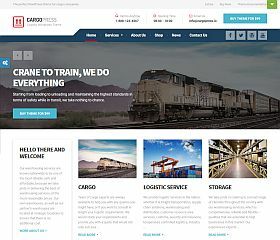 There are multiple layout options to choose from, a built-in portfolio, a custom-built cost calculator that is included, responsive layout and design, several header options and styles, custom shortcodes, as well as the option for full or boxed-width layouts – it’s an excellent solution for businesses in the moving field or logistics industry. 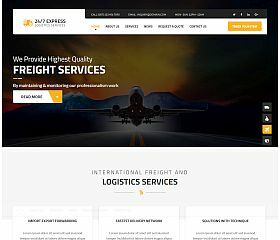 Express Logistics was designed for those in the logistics and transportation industry – with a clean and modern, responsive design, multitude of features, and dozens of customization options – it allows you to create a site that looks and functions exactly how you want it to. Features: Retina-ready design, multiple page layouts/templates, custom widgets and shortcodes, dynamic AJAX search, Google Fonts and Fontella icon support and integration, and more. 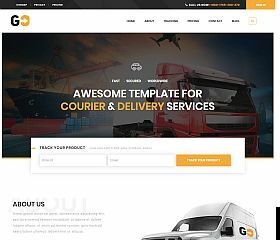 GoCourier was built specifically for companies in the delivery and courier industries, this theme provides a clean-looking and professional image for your business. Features include: multiple homepage layouts, WooCommerce integration/support, 50+ shortcodes built-in, drag-and-drop page builder, Google Fonts included, custom cost calculator built-in, custom product tracking service built-in, and a powerful theme options panel for customizing your site. 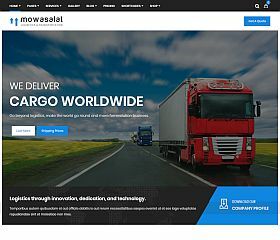 Mowasalat includes 11 unique homepage styles/layouts, unlimited layout options and color combinations, support and integration with WooCommerce, a responsive and Retina-ready design, premium plugins (worth $40) included, smooth scrolling, and more – this theme was built for those in the transport and logistics industry. 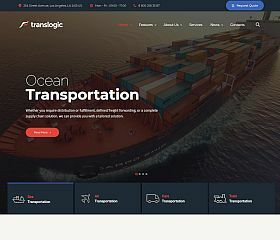 Translogic is a theme that was built for the logistics, shipping, and moving industry. With a beautiful and modern full-screen design, it makes the perfect choice for any type of company or service that delivers and ships goods. Whether you’re a small moving company or an international freight, trucking, or shipping business – it offers all of the features and functionality you could want. 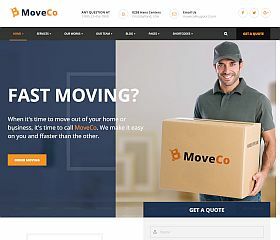 MoveCo was designed for delivery and moving businesses and services – featuring a very clean and easy-to-navigate layout, it includes all of the things you might want for a successful site. The theme is responsive and mobile-friendly, with easy-to-find contact information for your business, prominently-displayed calls to action (for requesting a quote, etc. ), and many other modern features that will allow you to be up and running in no time. 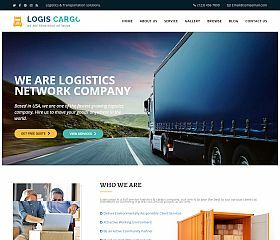 Logiscargo was built for the logistics industry, giving you a state-of-the-art website that your visitors and customers can easily navigate and find the information they’re looking for. Optimized for speed, SEO, and usability it offers hundreds of options to modify to your liking to ensure that you have a site both you and your visitors will love. Logistic Pro sets itself apart from many of the other themes in this collection due to its ability to accept online orders and offering customers the ability to track their orders. 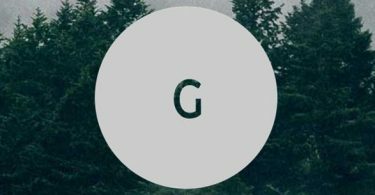 With several layout variations, it offers a stylish and sophisticated way to get up and running quickly and easily. CargoPress is one of the most feature-rich and robust themes for the logistics industry. With a drag-and-drop page builder, WooCommerce integration, eye-catching design, and responsive and Retina-ready layout – it will give you a professional and polished look with all of the features you might want. Whether your business is shipping by air, train, truck, or any other way – it should suit your needs perfectly. 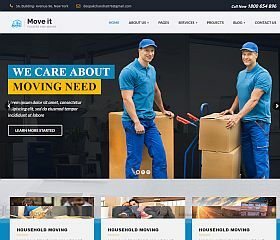 Whether you’re a small team of movers, or expanding a growing business – there are a number of themes and designs for WordPress in the moving industry to help you create a state-of-the-art website. Generating business online, ensuring that you’re seen, and providing your visitors with all of the information they need about your services are some of the most important components of developing a successful website. 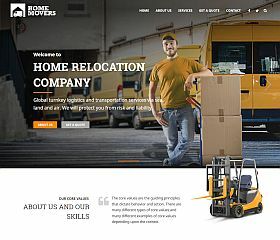 Fortunately, if you have a moving company or are in the shipping or logistics industries – there are a handful of WordPress themes built to suit your needs.